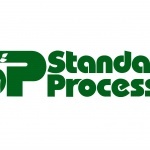 September 27, 2012 — Standard Process Inc. recently hired Bill Logothetis as its customer service manager. Logothetis, who has more than 10 years of experience in customer service management, will be responsible for overseeing the company’s customer service department to ensure Standard Process’ healthcare professional customers receive the best possible customer service experience. He will also research current trends in customer service, maintain customer service standards, policies, and procedures, and participate in cross-functional teams to improve processes throughout the company. Logothetis holds a bachelor’s degree in economics from Illinois State University. Former secretary of the U.S. Department of Health and Human Services visits Standard Process Inc.